Whether it was gracing the audience with her angelic voice at the Alvin Theater in ’54, or acting as Dominique on Dynasty in the ‘80s, Diahann Carroll is the consummate entertainer and never seems to drift away from the spotlight. Originally named Carol Diahann, the New York native was born on this day in 1935, and has been a staple in showbiz ever since. After years of working as a singer, model, and acting in films alongside black icons like James Earl Jones, Diahann became a bonafide celebrity after becoming the first African- American woman to star in her very own television series. It all began with Emmy- winning comedy writer Hal Kanter’s jolt of inspiration after attending a National Association for the Advancement of Colored People (NAACP) conference. Roy Wilkins, the head of the organization at that time, spoke about the negative media representation of African- Americans. Before the height of the Civil Rights era, black actors and actresses played as butlers, “mammies,” and other menial roles on television. After Kanter’s Amos 'n Andy and The Beulah Show left the air in the mid ‘50s, prime time series began featuring blacks in supporting roles. In the early ‘60s, Kanter finally proposed a television series project to NBC that would more fully represent African- Americans. 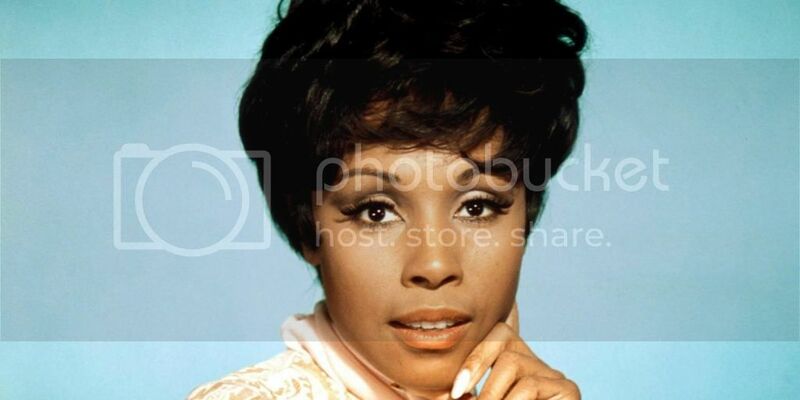 After interviewing 50 black actresses, Diahann Carroll booked the main role for the series without question. Julia became the highest- rated television show within a month of its premiere in 1968. This light- hearted half hour comedy revolved around the lives of Julia Baker (Diahann Carroll,) and her six- year- old son Corey (Marc Copage.) Since Julia’s husband died in Vietnam, she and Corey moved to Los Angeles, where she landed a job as an assistant nurse at the “Astrospace Industries” medical office. When Julia wasn’t working under the harsh pressure of Dr. Chegley (Lloyd Nolan,) she would unwind in her racially integrated apartment building. In the midst of the show’s growth, controversy began to stir surrounding Carroll’s “untraditional” role. Critics claimed the show was a “cop out,” stating that the Bakers’ lives weren’t in any way connected to the tradition of black culture. Black America was not pleased with Julia and how it shed light on the “humorous aspects” of the discrimination that tragically haunted that era. Diahann had taken so much criticism from political groups, that she had been hospitalized twice from being overstressed. On the bright side, the show’s popularity led it to winning a Golden Globe, Emmy, American Cinema Editor award, and even a Julia Barbie collection. Sadly, the pioneering show only ran for 86 episodes until 1971. There have been many different approaches to uplifting the African- American image since the trying times of the ‘60s. Back in 2012, NBA legend Magic Johnson created a television network that celebrates the groundbreaking achievements of the African- American society. After many requests, episodes of Julia are now aired on Aspire every Monday and Tuesday night at 7 p.m.These days, Carroll remains elegant and headstrong with incredibly nice legs. She’s written two memoirs, and is a recurring character on the USA original television series White Collar. Happy 78th Birthday Diahann!